Born and raised on an isolated Appalachian mountain, sixteen-year-old Marli Meade yearns to break free from her father’s diabolical church but fears its clutches are so deep she may never escape. When she meets local boy Nate Porter, though, she realizes the life she craves is worth fighting for even with the grave risk that fight would entail. As her two worlds collide, exposing buried church secrets more sinister than she imagined and unknown facts about her mother’s death, Marli must decide if she has the courage to fight for her future or if time has run out on her chance to live. 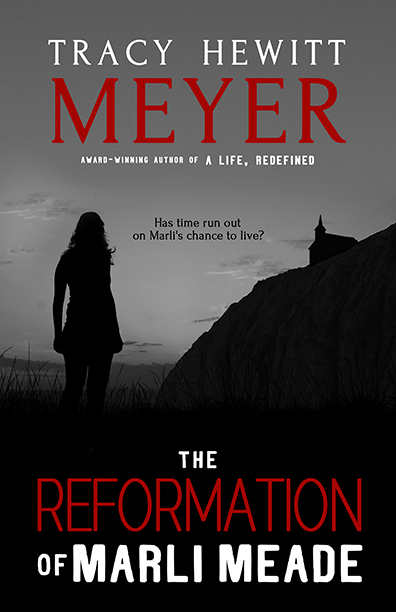 "…Marli’s despair hooks the reader from the first page…"
"As I read The Reformation of Marli Meade I felt like I do when I watch dramas on the Hallmark channel: simply entertained. Tracy Hewitt Meyer writes with great skill as she describes the coming of age story of a sheltered teenage girl dominated by a strict church family in the Appalachian mountains who meets and falls for an outside boy that makes her question her life and yearn for more. The book was a very quick read and Meyer's writing keeps the pace flowing with just the right amount of descriptions and character development. It is simply an entertaining and quick read." "Tracy Hewitt Meyer writes a perfect fast-paced thriller, chock full of tension and interspersed with some very scary moments. The plot was strong, well developed, and really held my attention throughout. …the perfect young adult thriller."